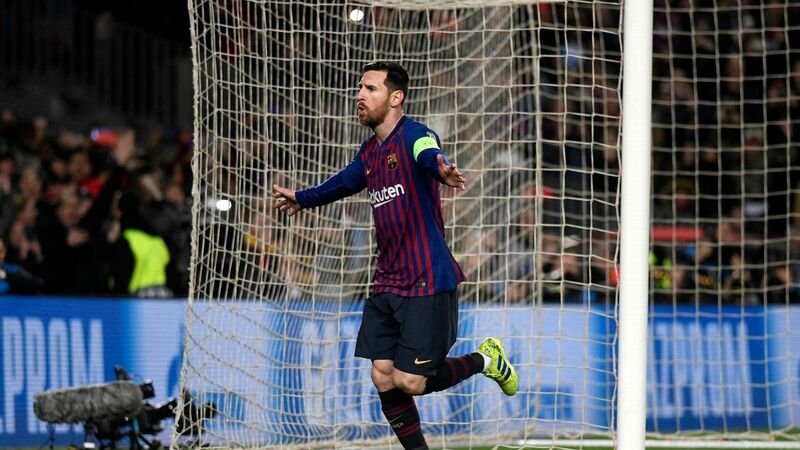 The return of club football coincided with the realLionel Messi standing up, inspiring Barcelona to a 2-0 win over Espanyol with a brace, maintaining a 10-point gap at the top of the table. Zinedine Zidane's Real Madrid were almost embarrassed by bottom-placed Huesca, Karim Benzema's 89th-minute goal saw them pinch it 3-2. Liverpool opened up a two-point lead at the top of the Premier League with a last-gasp 2-1 win over Tottenham Hotspur. Manchester City, though, do have a game in hand (Cardiff City, late on Wednesday). Manchester United celebrated Ole Gunnar Solskjaer's permanent appointment with a scrappy 2-1 win over Watford, while In Italy, Moise Kean ensured that Juve didn't miss Cristiano Ronaldo in a 1-0 win over Empoli to maintain their 15-point lead atop Serie A.
Lionel Messi has now equalled the record for most number of wins in La Liga history (level with Real Madrid great Iker Casillas). We all live in Lionel Messi's world. In the Premier League, Solskjaer's touch continues to roll back the years at Manchester United. This is the first time since the 1995-96 season that United have had four players score 10+ goals in a single Premier League campaign (Paul Scholes, Andy Cole, Ryan Giggs and Eric Cantona then; Anthony Martial, Marcus Rashford, Romelu Lukaku and Paul Pogba now). They are also the only side in the PL to have four players score 10+ goals this campaign. Is Christian Eriksen Tottenham Hotspur's most consistent player? The Dane's pass to set up Lucas Moura's goal against Liverpool made him just the second player to assist 10+ PL goals in four successive seasons after David Beckham (1997-98 to 2000-01). Liverpool have scored 33 winning goals in the 90th minute or later in PL history. That's at least eight more than any other side. Only Chelsea have had a longer unbeaten home run in the PL than Liverpool's current streak of 37. How long was Chelsea's you ask? Eighty-six -- back when the Special One was still pretty special (2004-08). Only two players have more assists than Andy Robertson in the Premier League this season. Andy Robertson has nine assists in the PL this season. Only two other defenders -- Andy Hinthcliffe (1994-95) and Leighton Baines (2010-11) have had more in a single campaign (both 11). This season, only Eden Hazard (11) and Ryan Fraser (10) have more assists than the Scot in the PL. Only Derby County have been relegated sooner than Huddersfield Town in a Premier League season. Huddersfield were relegated on 30 March 2019 and Derby on 29 March 2008. Over in Germany, Jadon Sancho is still tearing it up. The young Englishman's 13 Bundesliga assists are the most for any player in the Europe's top five leagues this season (Messi is on 12) and also the most by any player before turning 20 in the leagues since 2010-11. *The current season is, of course, ongoing.